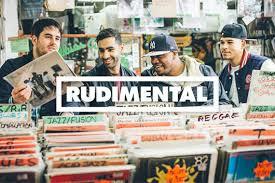 A touching video from Rudimental, as they follow up their previous single Feel The Love and Not Giving In. Teaming up with Ella Eyre, the video for Waiting All Night is the inspirational true life-story of San Francisco born BMX champion and actor - Kurt Yaeger, who became an amputee after an accident in 2006. All the characters in the clip are pro bmx'ers and the real friends of Kurt. The track itself is supercharged and a slightly fast paced version of Emeli Sande’s debut track Heaven. The new song taken from the band’s forthcoming debut album, Home due for release on May 3, features a huge sing-along chorus seamlessly on top of a rolling D&B beat and the band’s signature brass and Hammond organ, combined with the incredible sultry tones of Ella Eyre. Check out the beautiful and moving video below and pre-order your copy of their new album Home on iTunes now..!